A new entry in the BMW X Series lineup is on the way. According to multiple sources, the German automaker is moving forward with a small five-door crossover to fit between its X1 and X3. Unsurprisingly named the X2, this new miniature SUV will be based on the second-generation X1’s platform. Consumers in the United States and United Kingdom will be able to purchase the new model by late 2017. But if you think that means the X2’s first public appearance is a long way off, you haven’t heard that the first road-worthy X2 prototype will be tested in the coming days. Originally codenamed F39 based on the chassis code for small Sports Activity Coupes, the X2 will be built alongside the revamped X1 at the Regensburg factory in Germany. It will focus on sleek steel body styling and sporting capabilities, with an edgier coupe silhouette than the X1 has. As far as engine options, the X2 will start with four-cylinder gas or diesel units, followed by three-cylinders including the B48 in a 2018 M Performance variant. An xDrive35i model is also possible. While we’ll undoubtedly see spy photos of the X2 prototype soon, the new model’s official public unveiling won’t happen until auto shows in early 2016–and then only as a concept model. 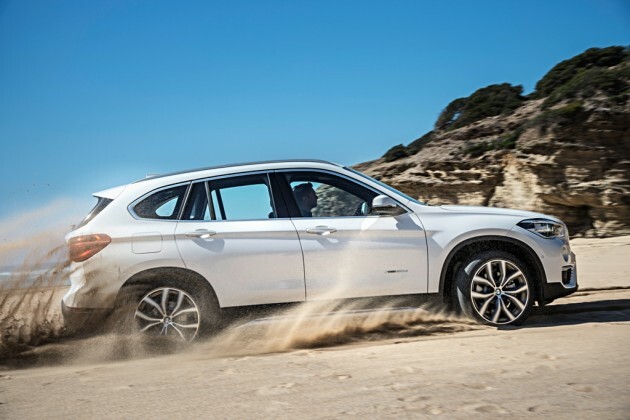 The biggest question on everyone’s mind is if another BMW SUV is really needed, or if BMW’s copy/paste approach is just over-saturating the market. Will the X2 be different enough from the X1, X3, X5, and X6–plus more upcoming X Series entries–to warrant its production? Or will it end up being an unnecessary duplicate that will only steal customers from other X Series models?